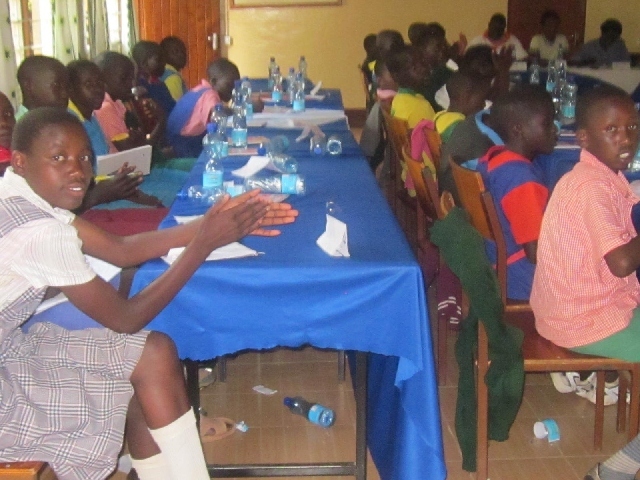 Primary school dropout rates are higher in Tunyo than in neighbouring communities, and more girls drop out than boys. Few children go on to secondary school. 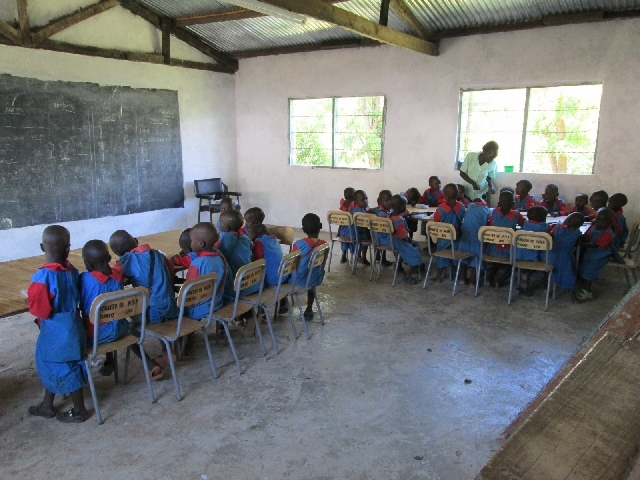 Although primary school enrollment is above 83%, secondary school enrollment is less than 23%. Students typically perform poorly on their national exams. They face many obstacles to their education, including widespread poverty, high rates of HIV and AIDS, a shortage of teachers, overcrowded classrooms, and harmful cultural practices, such as female genital mutilation and forced early marriage for girls. Families tend to rely on traditional healers for the treatment of illnesses, and only go to health centres for serious medical conditions. Unfortunately, this can lead to severe health complications and death. Most births take place at home, and children often do not receive immunizations. Malaria, complications during childbirth, and malnutrition are common causes of death. There is a reluctance to talk openly about HIV and AIDS, and a common belief that it is a curse or punishment from God. This has led to stigma against families affected by HIV and AIDS, which prevents them from receiving the care and assistance they need to survive. Tunyo has the highest poverty level in the district, with 65% of its population living below the poverty line. Household incomes are very low. There are 22 registered community organizations, but only six are active. These groups have the potential to benefit children and families economically, but they lack effective management, funding, and markets for their products. 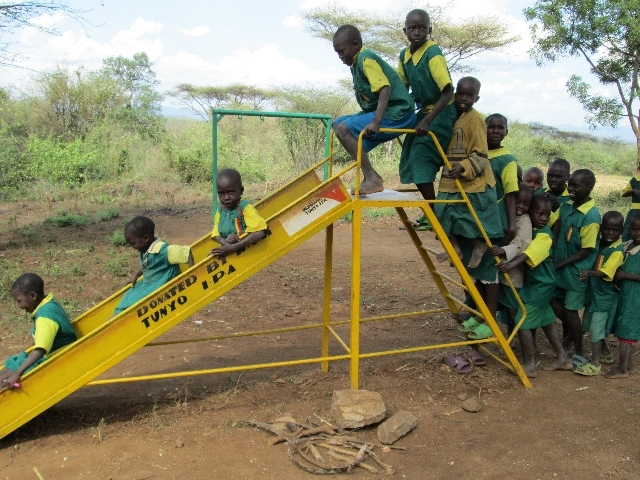 The Tunyo community is located in an area of dry lowlands and forested escarpment, in the Rift Valley Province of Kenya. The community is northwest of Nairobi, Kenya's capital city. The area has two rainy seasons: one from mid-March to July or August, and the other from October to November. Rainfall is low, at less than 850 mm a year. 90% of the population practice subsistence farming, growing crops and keeping livestock. Main crops include bananas, mangoes, and sorghum, but farm yields are low. Families keep poultry, goats, and sheep, but cattle are not popular due to rampant cattle rustling in the area. About 65% of the community lives below the poverty line and face the added burdens of high HIV and AIDS prevalence, inadequate health care, and harmful traditions that accelerate HIV infections. These include polygamy, widow inheritance and unhygienic circumcision. 87% of children are attending preschools, compared to 72% before, setting a solid foundation for their education. 93% of children with pneumonia were treated at a health facility and better cared for, compared to 72% before. 94% of children received all age-appropriate vaccines to help protect them from diseases, compared to 83% before. The percentage of students who dropped out of school has decreased from 7.7% to 5.0%. 53% of caregivers can now provide for their children's basic needs, such as food, clothing and blankets, compared to 20% before. 54% of women are now using family planning methods for healthier mothers and babies, as opposed to 43% before. Train school management committees and teachers. Establish a children's parliament to give children a voice on issues that affect them and their education. 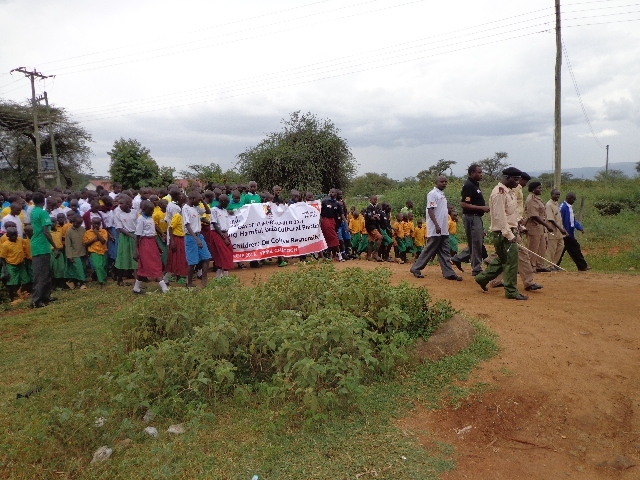 Inform community members of importance of education and address harmful cultural practices. Support maternal and child health campaigns. Prevent and treat common diseases. Implement plans to improve water supplies and sanitation practices. Educate community members of all ages on the realities of HIV and preventing its spread. Establish community-led care and support for orphans and people living with HIV and AIDS. Train and support local groups to establish viable income-generating activities. Provide access to microfinance loans. Implement plans to improve household food availability. Boost networking opportunities and improve access to markets.